I'm so excited we paid the deposit for our venue today so it's now official, 26th July 2012, seems ages away but I can't help getting excited. I've seen so many ideas and helpful comments on this site and now I can start using them and really get stuck into the planning. Sorry not really a question just wanted to share my excitement!! Congratulations, it is so exciting when you finally set the date and start the wheels in motion isn't it? I was the same and just really wanted to tell everyone. In fact I think my h2b drove everyone mad, doing just that. Thanks everyone I'm sure it will fly by. We're gonna start looking for photographer etc in a few weeks as we live in Kent but I'm originally from the Wirral so getting married there, we're both teachers so gonna stay with my mum for a few weeks during the summer hols to try and get a few more things sorted. Soulmates - We've booked Thornton Manor. I'm a sucker for details too, love looking at everyones pics and plans. Congratulations! I have yet to set a date since I cannot look at venues until August at least. Congratulations! So exciting when you set the date isn't it! 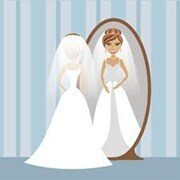 I am going to be a 2012 bride as well, have provisionally set a date for June 2012. We just need to pay the deposit & then we are all set to go. I'm 2012 too, are any of you ladies North East brides? I'm around Newcastle area! We want end of July 2012 but because of work haven't been able to book or even visit our first choice of venue yet!! I work holidays and live in edinburgh for uni in term time so i'm worried about how long I'll actually have spare to plan! Exciting to plan even online though isn't it!!! First dress appointment tomorrow too!! !